​​Real Madrid's young sensation Vinicius Jr has been one of the star players in the team since the arrival of new coach Santiago Solari and it was a special occasion for him when he took the field against Plzen in the ​Champions League on Wednesday. Coming on in the 62nd minute in place of Karim Benzema, Vinicius took just five minutes to weave his magic as he starred in the lead up to Toni Kroos' goal in ​Real Madrid's 5-0 win on the night. This game was also Vinicius' debut for Real Madrid in European football and ​Marca report that when he stepped on to the field, he became the third youngest player to debut for Los Blancos in the Champions League, tied with Iker Casillas, who also made his bow at 18 years and 118 days on September 15, 1999 against Olympiacos. 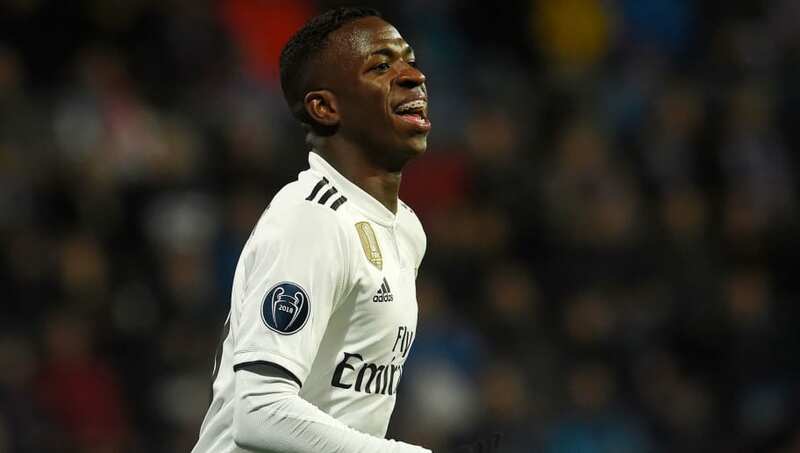 This means that only Jose Rodriguez (17 years and 354 days) and Raul (18 years and 78 days) have debuted earlier than Vinicius Jr in Real Madrid history. Overall, Vinicius has showed flashes of brilliance whenever he has been called upon to represent Real Madrid on the field. It does look like he needs the trust and confidence of the new coach in order to take him to the next level. This season, the Brazilian youngster has played just four games combining to a total of just 57 minutes for Real Madrid. He has started all games on the bench and still has a goal to his name. However, that was mostly during Julen Lopetegui's charge. With Solari, things could take a huge turn for Vinicius in the season ahead.